Asamblea de Ciudadanía - lunes 6 de mayo. In 1st Grade we are practicing mindful listening. We are working hard to listen to our classmates, teachers, friends, and family. We know that listening to others shows that we care about them. Support your child by learning more about what is going on in our 1st grade class. Please check in weekly (by clicking the blog link to the right) and follow our growth! Suggestions for Fun ways to learn sight words! Paper Plate Toss: Write sight words on paper plates. Use them like frisbees to throw after reading the word. Add in some additional fun by adding a target. Flashlight Words: Turn off the lights. Tape words on the wall or ceiling. Use the flashlight to sine on the word, then have your child read it. Go Fish: Wish a duplicate set of word cards play “Go Fish.” You can easily make your own cards out of index cards. Stepping Stones: Place the word cards on the floor, making a fun stream going across the room. Have your child walk over the stream. As they step onto the stepping stone (word), have them say the word before they move on to get to the other side of the stream. Tic-Tac-Toe: Write words in the tac-tac-toe spaces. Take turns selecting a space to read. If read correctly, an X or O is placed on the space until someone wins. Word Hunt: Look for target words in books or in the newspaper. If using the newspaper your child can highlight or circle the words that she finds. Word Jump: Write the sight words onto the driveway. Call out a word. Have your child jump their way to the sight word. SNAP: You put the sight words you want them to practice on flash cards and put the flash cards into a jar. Also, you write the word SNAP on a few flash cards and put them in to the jar. The kids can play in partners or in a groups of 3 or 4 with siblings. They take turns pulling a card out of the jar. If they can say the word on the card automatically with no struggle, they get to keep the card. If they struggle, they have to put it back. If they pull out one of the cards that says SNAP, they have to put all of the card they’ve drawn back. The first person to 5 cards (or 10) wins! Stair Chase: Place two sight word cards on each stair. Let them pick one sight word on the way up, saying the word and picking up the card when they get it correctly. Have them practice the other sight words on the way down. Coin Toss: Put words on the floor. Children take turns tossing a coin onto a word and saying the word. If they get the word correctly, they keep the coin. If you like, first to 10 coins wins. Or see if they can collect all of the coins. Play who am I? Lay out the word cards. Then give the child clues to what the selected word is. For example, if the word was “red,” you could say – I rhyme with bed. I had three letters. I end with the letter D. Have the child locate the word. Chalk Writing: Go outside and practice writing the sight words with chalk on the sidewalk. Words You Can Eat: Write your words in whipped cream, peanut butter, carrots or anything you can eat. Who has more? Flash words cards to your child. If they read the word within 5 second, they get to keep the card. If not, you keep the card. If the child has more cards than you at the end, they win. Salt Tray: Grab a tray or baking sheet with edges. Pour in salt. Write the word in salt. When your child says it correctly, they get to erase the word. Kindness makes wonderful things possible! 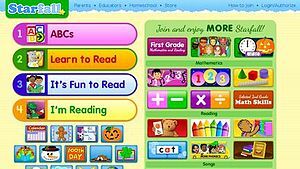 The following links are songs, games, or short video clips of what your child is currently learning in 1st grade. u_e words read to you! Please email me with any questions or concerns using the form below.